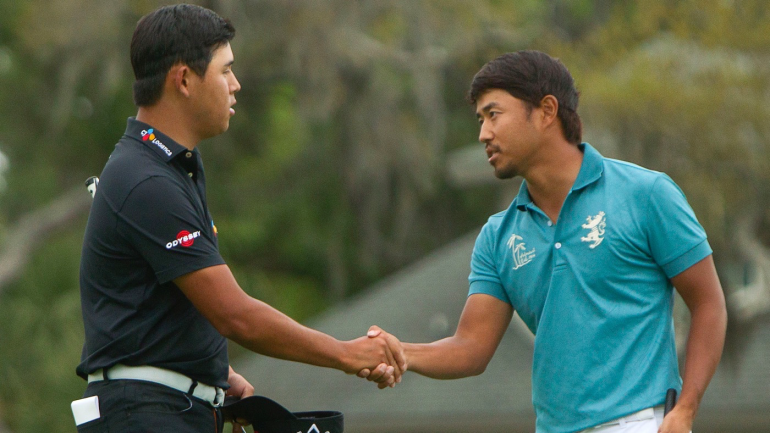 Satoshi Kodaira won 2018 RBC Heritage due to a 5 to 66 in the final round that led him to a three-hole playoff with Si Woo Kim, who was very close to making history. Kodaira, who was able to move as high as the top 30 in the official World Golf Rankings on Monday, played only on the 15th PGA Tour event in his career. He had exactly zero top 25 shows that came to sunday. 7th hole. It was the same 17th hole that he would later birdie in a playoff for the win. After both golfers paired the 18th two in the playoffs, Kodaira made his shot on the difficult pair 3 and grabbed a PGA Tour card in the process. Kim missed her chance of history. With his third win, 22-year-olds could have joined an exclusive list containing Tiger Woods Jordan Spieth, Rory McIlroy Sergio Garcia and Jack Nicklaus. Instead, he has to settle for runners and another two month chances to join that list before he reaches 23 in June. Si Woo Kim can join today. He was also without opportunities. Kim shot a 3-over 38 on the back nine that included three bogeys, six pars and a whole handful of missed putts who would have won him the tournament. In a finish you can not see, Si Woo Kim putts missed 4, 7, 5 and 6 feet over the last four holes. Now it's time for the playoff with Satoshi Kodaira. Not all was lost, of course. Kim, a former Champions Championship winner and champion in two of his first 87 startups on the PGA Tour, was pleased with the support he received during the week in Hilton Head. "Although I'm not an American player, I'm just incredibly grateful to see some of these fans who cheer my name and cheering for me in the playoffs," Kim says. "And I hope that while I play with one American players, these fans would cheer for me. " Amazing streak at Hilton Head, continues. Kodaira the 6th straight winner to start from at least 3 shots behind the last day. Dustin Johnson (T16) : It's hard to predict n Odd course somewhere does not fit Johnson, and he proved it again this week. Coming into this tournament, his two recent RBC Heritage events had failed, but he used a final 4-under 67 to lift his eighth top 20 season in stroke play events (in eight tournaments). Even if he sat down at all he would have won. Johnson finished seventh in battle from tee to green and 63 in putting. Bryson DeChambeau (T3): I felt good about DeChambeau coming in this week, and he delivered. He has now had two top 10s here in the last three years and is somewhat quiet (or as quiet as anyone like DeChambeau can) string together a strong season. His regret was a 4-over 75 on Saturday. If he shot pairs there, he crosses all the way home to win No. 2 in his PGA Tour career. It's frustrating for him, to be sure, but the whole PGA Tour consists of "what ifs" like this one. Real growth can be found in the 75's in the 71's or 72's and winning tournaments because of it.